Jennifer Cawthra is a Senior Cybersecurity Engineer who leads an engineering team at the National Cybersecurity Center of Excellence, which is part of the National Institute of Standards and Technology (NIST). She and her team promote the acceleration of businesses’ adoption of standards-based, advanced security technologies for the healthcare sector. As our dependence on Internet-based tools and services increases, we must be more vigilant in protecting our data and systems. Jennifer has been addressing cybersecurity issues for over 20 years. But none have been more challenging than those in the healthcare sector where patient safety is always the first priority. Jennifer is a Program Management Professional (PMP) and holds a BS in Electrical Engineering from Penn State. Josh Domangue serves Independent Security Evaluators (ISE) as Associate Security Analyst. At ISE, Mr. Domangue works on various projects involving application security, network security, and reverse engineering. As one of the main organizers of the SOHOpelessly Broken CTF at IoT Village, Mr. Domangue has continued to improve the IoT hacking challenges and overall quality of the contest. Outside of work, he enjoys participating in security competitions, particularly CTFs. He also organizes and presents lectures at various venues on a wide range of topics within the field of information security. Phil leads the development and adoption of the Medical Device Risk Assessment Platform at MDISS. This includes collaborating with healthcare providers, medical device manufacturers, DHS, FDA, and NH-ISAC to advance cyber information sharing. Previous diverse experience includes manufacturer technical service and a variety of technical management positions for healthcare providers. In his 23 years of Clinical Engineering leadership at Catholic Health Initiatives, Phil oversaw the development and support of a internally developed Computerized Maintenance Management system, a multidisciplinary medical device cybersecurity effort, a $12M medical device self-insurance extended warranty program, and the enterprise business resilience team. Phil’s special interest is benchmarking healthcare technology maintenance. Phil, a Thomas More College graduate and a US Air Force veteran, retired from Catholic Health Initiatives and joined MDISS in June 2017. Matthew Green is an Assistant Professor at the Johns Hopkins Information Security Institute. 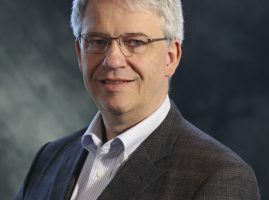 His research includes techniques for privacy-enhanced information storage, anonymous payment systems, and bilinear map-based cryptography. Dr. Green is one of the creators of the Zerocash protocol, which is used by the ZCash cryptocurrency. He was formerly a partner in Independent Security Evaluators, a custom security evaluation and design consultancy and currently consults independently. From 1999-2003, he served as a senior technical staff member at AT&T Laboratories/Research in Florham Park, NJ. Dr. Green’s research focus is in the area of applied cryptography. 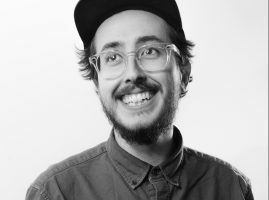 His recent work includes developing privacy-preserving cryptographic protocols for implementing anonymous electronic cash and identification. He has also developed protocols that allow users to access databases without revealing which data they’re accessing. Additionally, he has been working on new automation techniques to assist in the design and deployment of advanced cryptographic protocols. Dr. Green also works in the area of cryptographic engineering. This work involves understanding the practical aspects of cryptographic systems, implementing cryptographic protocols, and in some cases reverse-engineering deployed systems. He teaches an introductory course on this subject. Additionally, he has designed several cryptographic tools, including Charm, a framework for rapidly prototyping cryptosystems, and a Functional Encryption library that provides implementations of several new Attribute Based Encryption schemes. Sam works on growing and strengthening Independent Security Evaluators’ involvement in the security community. This ranges from managing the call for speakers for IoT Village at DEF CON to photo documenting each event. He manages the social media and metrics programs at ISE and as one of the main organizers of the hacking event IoT Village, he has helped create and establish the branding and experience for the event since its inception in 2015. Paul Otto understands the regulatory environment surrounding privacy and cybersecurity risk management and incident response. 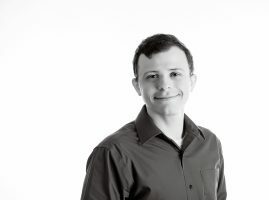 Leveraging his technical background and capabilities in computer science and engineering, Paul brings insight to clients as a compliance counselor who understands hardware, software, and technological innovation. Paul works with legal counsel and security officers throughout the lifecycle of cybersecurity risk management and incident response. 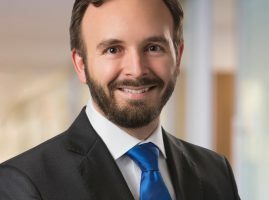 Because many organizations have limited in-house cybersecurity legal capacity, Paul embraces the role of outside counsel by working alongside executive and information security teams to manage risk, oversee corporate governance, and help identify and capitalize on risk-reducing opportunities for enhanced data protection. Paul’s cybersecurity legal representation includes organizations across a wide range of industries, primarily in the life sciences and healthcare sectors. Whether it is cloud computing, mobile technology, critical infrastructure, the Internet of Things, or any number of technology-related areas, Paul regularly advises clients on compliance with various privacy and cybersecurity laws, regulations, and standards. Charles (Chuck) Parker is Global Lead for Healthcare at Beyond Limits. With more than 20 years of Healthcare IT experience, he has led several research and for-profit initiatives. Most recently as a lead for Beyond Limits, a commercial startup bringing forward application of NASA developed Artificial Intelligence for application in healthcare across a spectrum of consumer and provider initiatives. 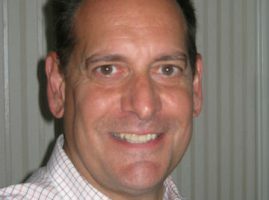 Prior, he served as the Executive Director of the Continua Health Alliance – a membership-driven company focused on developing an eco-system of interoperable personal health devices – Chuck has been active in leading the industry in the Personal Connected Health area for the past 6 years. Mr. Parker has collaborated internationally with governments, payers, providers and vendors. Through working with Standards bodies and industry experts, he has worked to instill standards built upon international criteria from IEEE, HL7, Bluetooth, USB, and others. In 2012, Denmark and Singapore began collaborating with Continua to require all personal connected health devices used in their national telemedicine programs were Continua Certified to ensure convenient and secure collection, communication and access to personal health data for its citizens. Dr. Dena Puskin is a consultant, having retired from Federal service after 32 years working in healthcare finance policy, telemedicine, and rural health care. Prior to retirement, she was a Division Director at the Centers for Medicare and Medicaid Services [CMS [, implementing the Affordable Care Act in the states. 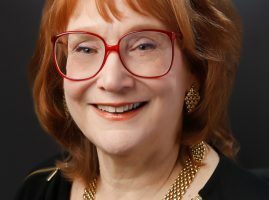 Dr. Puskin has been involved in telemedicine since 1988, when, as Deputy Director of the Federal Office of Rural Health Policy (ORHP), she pioneered some of the earliest federal telemedicine grant programs existing today. In 1998, Dr. Puskin founded the Federal Office for the Advancement of Telehealth (OAT), where she served as its Director until 2010, when she became a senior advisor in the Health Resources and Services Administration. During her tenure in the Federal government, she oversaw the growth of several grant programs, published numerous articles and Federal reports on rural health and telemedicine, and created a Federal staff-level interagency committee to advance cost-effective telemedicine initiatives across the Federal government. Dr. Puskin is currently a Fellow of the American Telemedicine Association [ATA] and has received numerous awards for her pioneering work in telemedicine, including the ATA President’s Leadership Award. Michael Robkin, MBA, CISSP, is co-founder and President Xelnt Healthcare, Inc. Mike was PI on a research grant from the US Army on Medical Device Cybersecurity. 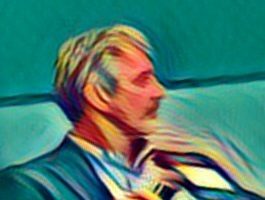 He was formerly the most senior Enterprise Architect for NationalCare Delivery systems at Kaiser Permanente, and a founding board member of the Continua Health Alliance. Mike previously co-chaired the first FDA (CDRH) Workshop on Medical Device Interoperability: Achieving Safety and Effectiveness. 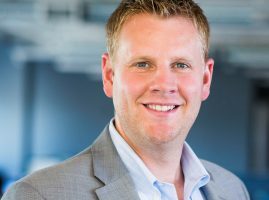 Mr. Schroeder is the Founder and Director of Programs for intelligence-led cybersecurity firm, 3 Territory Solutions, that concentrates on Facility-Related Control Systems (FRCS) and Medical Devices and Equipment (MDE). As a 15-year partner with the Department of Defense and Department of Veterans Affairs, as well as other public and private utility providers, he understands the nuances of working with control systems. The organization conceptualizes, develops and implements cybersecurity standards and policy for Facility-Related Control Systems, Medical Devices, Industrial Control Systems, PIT and PIT Systems, Operational Technologies and most generally, the Internet of Things. He challenges the status-quo, innovates, is passionate and always fails forward. Shahid N. Shah is an internationally recognized and influential cybersecurity and risk management expert. He is a technology strategy consultant to many federal agencies and winner of Federal Computer Week’s coveted “Fed 100″ award for his work on the government’s largest secure collaboration space. 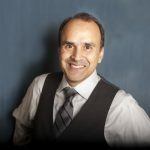 Shahid has lead or participated in numerous cybersecurity risk assessments, threat assessments, risk management, penetration testing, and overall systems quality efforts in multiple government agencies as well as medical devices, insurance, and health IT sectors over the past 18 years. He’s served as Chief Architect (contractor) for BFELoB and OMB secure collaboration platforms and was responsible for strategy as well as implementation leadership of the government’s largest cross-agency identity management solution focused on multifactor auth/authz and identity assurance. Shahid has helped guide numerous projects through FISMA compliance and FedRAMP certifications as well as helped architect some of the systems within which FedRAMP content submitted by registrants are safely stored. He’s also helped AHIP with cybersecurity strategy development for its member insurers and is the author of the “Cybersecurity Risks” and “Conducting Digital Health Risk Assessments” chapters of the 2015 edition of “Insurance and Risk Management Strategies for Physicians and Advisors” book. Shankar Somasundaram is currently the CEO of Asimily. Asimily is a data driven, non-invasive medical device monitoring solution for healthcare providers and medical device manufacturers solving for asset management, risk, cybersecurity and operational use cases. Previously Shankar led the Internet of Things business unit at Symantec. In this role, he oversaw the Enterprise Internet of Things business unit that focused for multiple verticals, including Healthcare, Industrial Control Systems (manufacturing, utilities, etc.) and Facilities (buildings) . Before that Shankar was part of the business and corporate development teams driving deals in the enterprise storage and security space. Prior to joining Symantec, Shankar held engineering, strategy and product management roles at companies like Qualcomm, InterDigital and British Telecom. Shankar also established and operated startups in enterprise software and security arenas and holds 50+ granted patents across networking and security. Michael Taborn is presently the Chief Architect for the Healthcare Sector within the Intel Internet of things group (IOTG). This organization is responsible for supporting Intel devices and technologies for long life in the global medical device marketplace. Michael’s current responsibilities include driving new technologies into Intel that are complementary and support the medical device industry and customer. These technologies include security, architecture and performance requirements of the industry as well as new use models that are evolving with time. Previously within Intel, Michael was Component Debug Engineer on the Atom processor. Prior to joining Intel, Michael spent several years as an IC design and verification engineer with IBM, Motorola, and AMD. He holds eight (8) Patents and is a member of the IEEE. Joseph Ternullo, JD, MPH has focused the past 20 years of his career on healthcare. 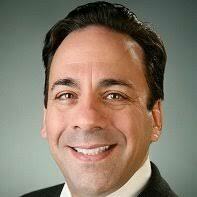 Joe is well known for his 17 years as the associate director of Partners HealthCare’s Center for Connected Health. He founded and chaired for 10 years the Connected Health Symposium, a two-day international conference with a prominent patient engagement focus. He was a co-founder of the Continua Health Alliance, a standards and interoperability organization. Joe has served on two federal advisory committees, including the US Department of Health & Human Service’s American Health Information Communities Chronic Care Workgroup. Joe has authored several publications focused on healthcare technology and served on several international and domestic boards. Most recently, he led a health technology start-up that established an exploratory US presence. Joe holds degrees from Boston College, Bentley University, Boston University School of Law and Harvard T.H. Chan School of Public Health. David W. Viel, PhD, Founder & CEO, Cognoscenti Systems, LLC. Dr. May Wang is Chief Technology Officer (CTO) and Co-founder of ZingBox, a Gartner Cool Vendor in the Internet of Things (IoT) Security. May was previously the Head of Asia Pac Research and a Principal Architect in Cisco CTO office driving new technology initiatives. Her algorithms have been deployed in Cisco’s best-selling products. May also serves as a Venture Partner at SAIF, a $4B Private Equity firm. 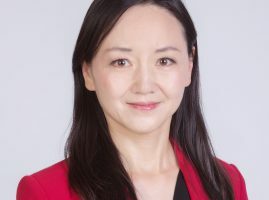 She is on advisory board of several VC firms and tech companies. May has been the recipient of numerous awards including Silicon Valley Women of Influence 2017 and several Stevie Awards. She received her Ph.D. from StanfordUniversity in Electrical Engineering. Tina Wellman is the Vice President of Sales for Pulse InfoFrame. In this role, she is responsible for leading the North American sales and marketing activities for the company. providing professional services, hardware and software solutions for medical practices, surgical centers, hospitals and laboratories. 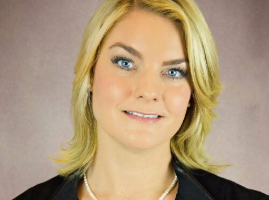 She joined Pulse from EndoSoft, where she served as vice president of sales and marketing. Her previous experience also includes successfully managing sales teams for several other health care technology companies as a strategic consultant. She and her teams have won numerous company sales awards in these markets. Tina holds a Bachelor of business administration and Management from AIU in Atlanta, Georgia and a Green Belt in LEAN from Purdue University in Lafayette, IN. 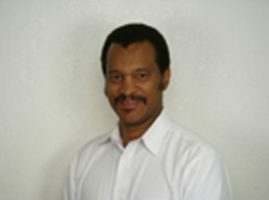 Ron Williams is the principal architect of the X-Force Exchange, a cloud deployed and DevOps delivered security service. He is a subject matter expert in threat intelligence, network application and security, and identity governance. As a product architect, Ron has designed and developed application & network security products including global web security architecture for the Global 100. He is an inventor with patents granted in the fields of authentication, authorization, audit, web application security, network intrusion detection and protection, and security in software defined networks. 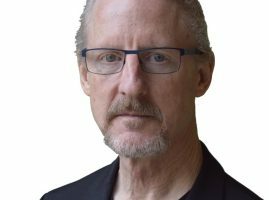 With over 25 years experience in information technology, software development, and security architecture, Ron has a track record of delivering innovative products and solutions to healthcare, finance, and retail market segments by focusing on the achievement of business-driven security objectives in the simplest way possible. Conceived, designed, and led development and deployment of X-Force Exchange, IBM’s cloud based threat intelligence collaboration and sharing platform. Web based solution and deployment security architectures for global enterprises in Finance, Healthcare, Retail, and the Government. Fast assessment of organization effectiveness against defined organizational and program objectives. 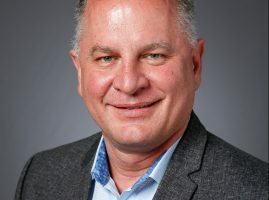 Ron is currently the Chief Architect, Threat Protection and Intelligence IBM Security, and Principal Architect of the X-Force Exchange, IBM’s Threat Intelligence Portal and Sharing Platform. Ron leads a global engineering team to deliver customer focused value through IBM Design Thinking, innovative implementation, and agile development practice. Mr. Wirth’s career spans several decades in the medical device, health IT, and cybersecurity industries. This cross-functional background enabled him to tackle some of the most complex challenges in health technology today – the need to protect sensitive data, secure critical medical device and IT infrastructure, and assure patient safety. As an expert and advocate on compliance, privacy and security, Wirth has been providing thought leadership to healthcare providers, industry partners, and health technology professionals. He is an active participant in industry organizations and is currently serving on the editorial board of AAMI’s BI&T Magazine and contributes the regular “CyberInsights” column, as well as serves on the HIMSS Privacy & Security Committee. His background in the healthcare IT and medical device industries includes engineering leadership as well as strategic business development and marketing roles with Siemens, Analogic, Mitra, Agfa, and currently Symantec, where he serves as Distinguished Technical Architect in their healthcare division. He maintains certifications as an information systems security professional (CISSP), a healthcare information security and privacy practitioner (HCISPP), and a professional in health information systems and management professional (CPHIMS). His education includes a BS Electrical Engineering from University of Applied Sciences, Düsseldorf (Germany) and an MS Engineering Management degree from The Gordon Institute of Tufts University.